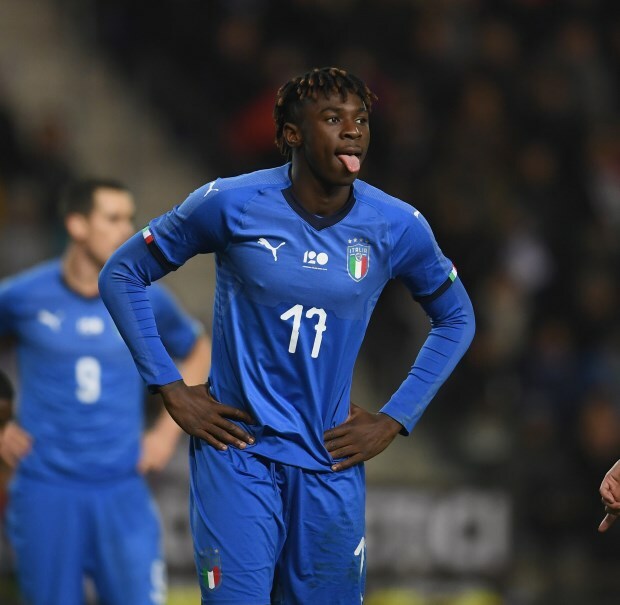 Genoa have expressed their interest in signing Leeds United linked striker Moise Kean to replace Krzysztof Piatek, who could join AC Milan, and Juventus could play ball. Kean, who is angling for a move away from Turin in search of regular playing time, has been linked with Ajax, Bologna and Leeds over the course of the last month. However, AC Milan’s interest in Piatek to replace Chelsea-bound Gonzalo Higuain has now forced Genoa to probe the possibility of launching a move for Kean. The 18-year-old is regarded as a future star by the Old Lady and Genoa are keen to sign him, according to Italian broadcaster Sportitalia. But Juventus are only willing to let Kean move on loan, with permanent deals off the table. Genoa are claimed to be ready to sign Kean on a simple loan deal. Kean is expected to sign a new contract with Juventus soon. But the Italian striker, represented by super agent Mino Raiola, could move on loan this month as he seeks game time.